[www.dans.knaw.nl] in the Netherlands – a large digital archive for research data primarily from the social sciences and humanities. She is also member of the e-humanities group [ehumanities.nl] at the Royal Netherlands Academy of Arts and Sciences (KNAW) in Amsterdam, where she coordinates the computational humanities programme. She has a background in physics (Diploma in Statistical Physics) and in philosophy of science (PhD on the application of mathematical models to the science system as self-organizing system). Her current work can best be characterized as part of the information sciences. 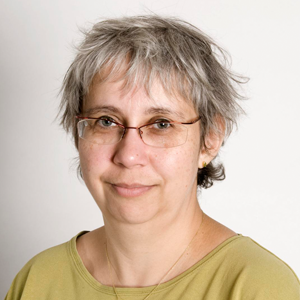 She coordinated and participated in several EU and national funded projects, such as “Web indicators for scientific, technological and innovation research”,”Competence and innovation in research networks – modeling self-organized learning of heterogeneous agents”, “Dissimilar simulation – the epistemics of simulation in the humanities” and “Critical Events in Evolving Networks”. Currently, she leads the working group “Information and Knowledge” of the COST action MP0801 “Physics of Competition and Conflicts”. A computational humanities project on Dutch Census data (CEDAR) she leads started 2011. She is the chair of on ongoing COST Action TD1210 KnoweScape (see www.knowescape.org).